The automatic awning operates on guides allowing the awning to be easily adjusted. They are great for windows with different arm lengths to suit the application. Mesh fabric with a straight valance gives a modern look. 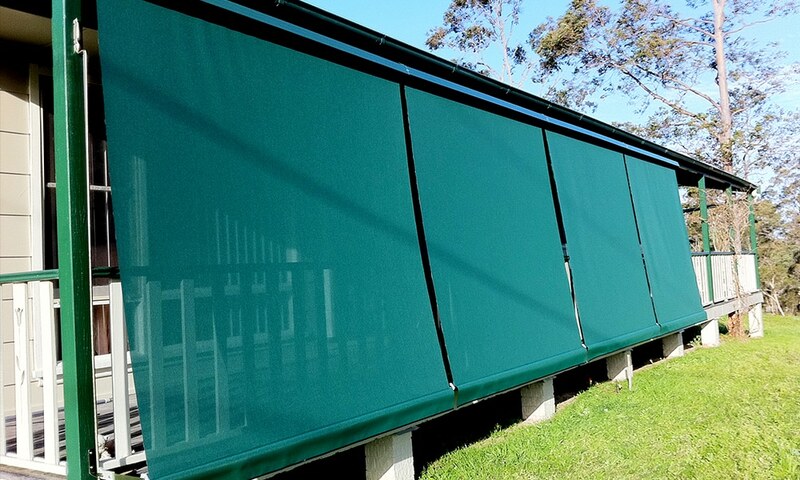 The hood is available in all the Colorbond colours. 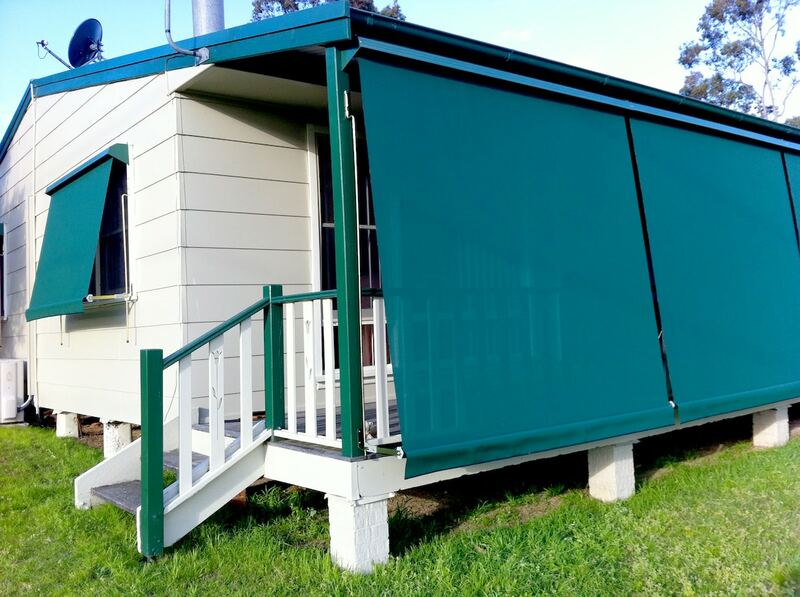 Our automatic awnings were designed with the harsh Australian climate in mind. Their durable nature protects window and alfresco areas from harsh UV rays. Outdoor areas can be used all year round with our automatic awnings, offering heat protection. These awnings are designed to stop at any height, allowing more airflow or additional light to filter in based on your adjustments. In addition to providing shade and respite in outdoor areas, automatic awnings can be installed on windows to protect indoor furnishings. 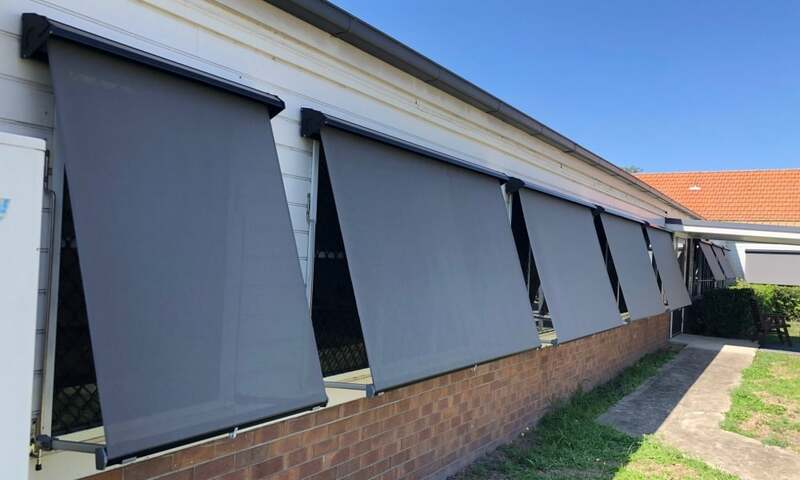 Whether it’s carpet, timber floors or leather furniture, you can delay their deterioration by installing automatic awnings offering protection from heat and damaging UV rays. We’re the experts when it comes to installing automatic awnings throughout Newcastle, Maitland and Hunter Valley. If you’d like to discuss the options available, call us on 1300 884 476 or come along to see us at our showroom at 21/13 Hartley Drive, Thornton NSW 2322. Remember to ask us about our new home, and large renovation package deals and discounts. We look forward to helping you determine the best solution for your home or business.